Wyatt Lee: What do you plan to study here at Lawrence? Are you involved, or are you planning on getting involved in any on-campus clubs or organizations? 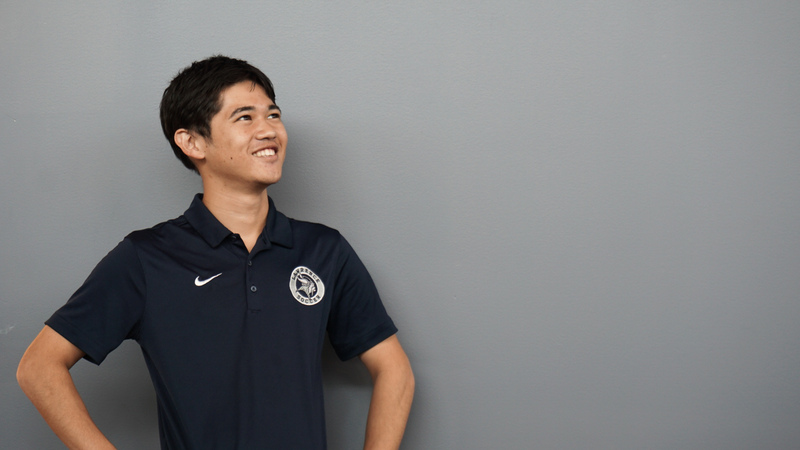 Suguru Yoshitake: I’m an exchange student from Waseda University in Tokyo, Japan, so I will stay here just one year. During this academic year, I hope to not only speak and be able to listen to English better, but also to be able to engage with a lot of students from a variety of cultures and identities that will enrich my life. Moreover, I am not planning to join any other clubs and organizations so far, but I like to play tennis and to snowboard. WL: Did you play any other sports growing up? SY: Tennis. I belong to the tennis club in Waseda that is similar to an intramural team at Lawrence. When I was a freshman in Japan— now I’m a junior in Japan, but a freshman at Lawrence— I started to play it, so I’m not very good yet. WL: To this point, what’s been your best moment as an athlete? SY: It’s the moment that we won the game against Lakeland. The match was a very hard game, but we got the winning goal in the last five minutes. It was not a conference game, so I really want that first victory in conference as soon as possible. WL: You scored your first collegiate goal this week. Can you describe how it happened? How did it feel to get your first one under your belt? SY: There fifteen minutes remaining in the match, and we were losing 0-2. At that time, I was thinking about getting our first goal as soon as possible to be even the game. Looking back my first goal, when I received the ball, I had a lot of space to shoot, so I tried shooting, and it lead to my first goal of this season. WL: What sort of things are you working on in your game moving forward? SY: My position is central midfield here at Lawrence, but I have not played there in my life; I have played in left back, both left and right midfield, and striker. Therefore, it is hard to play there, but I manage to provide good passes to my teammates as much as possible and keep running throughout the whole game. WL: How has the team shifted attitudes or mindsets and what sorts of things are emphasized by captains and coaches as your team gets deeper into conference play? SY: Coach always emphasizes to organize and to communicate each other in the game. WL: What’s something fans at Lawrence should know about you? SY: I often played table tennis with my friend at Warch; also, I’m looking for someone who can play table tennis together. WL: What’s something that students at Lawrence who might not know much about your team, or soccer in general, should know? SY: We have a lot of home games at Banta Bowl in October, so if you have time, please come to Banta Bowl to watch our matches.